Mado Ice-cream, which has earned well-deserved fame all over the world with its unique flavor, has a long history of 300 years. This is the history of the “step by step” transformation of a savor tradition called Karsambac (snow mix) that entirely belongs to Anatolia. Karsambac is made by mixing layers of snow – preserved on illsides and valleys via covering them with leaves and branches – ith fruit extracts in hot summer days. In time, this mixture was enriched with other ingredients such as milk, honey, and salep, and turned into the well-known unique flavor of today. The secret of the savor of Mado Ice-cream lies, in addition to this 300 year-old tradition, in the climate and geography where it is produced. This unique flavor is obtained by mixing the milk of animals that are fed on thyme, milk vetch and orchid flowers on the high plateaus on the hillsides of Ahirdagi, with sahlep gathered from the same area. All fruit flavors of Maras Ice-cream are also made through completely natural methods, with pure cherries, lemons, strawberries, oranges and other fruits. under necessary conditions to our stores across Turkey and abroad; presented to the appreciation of your gusto, the esteemed gourmet. 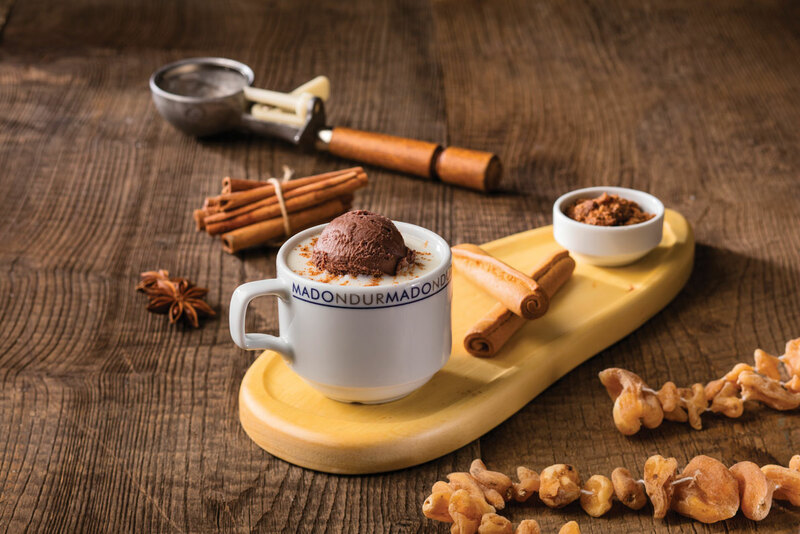 In the last years, the MADO Café chain that has reached over 300 franchised stores in Turkey and around the world is not only “just ice-creams shops”, but are places that you can have a unique food experience. 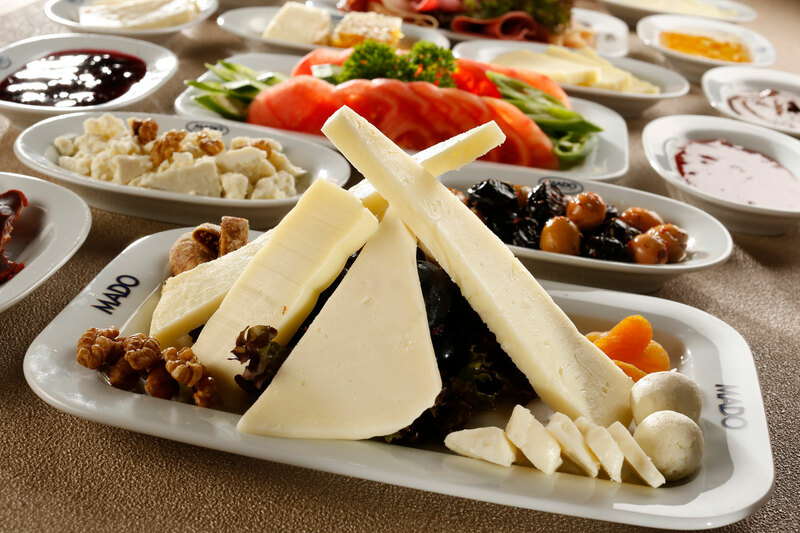 MADO brings together traditional tastes of Turkish Cuisine and its own delicious tastes at Mado Cafes. Special desserts like Baklava, Sarma, Walnut Muska and Dolama, are matched with MADO’s well-known unique flavor of Ice-cream. These new tastes make MADO a crucial part of the traditional Turkish Cuisine. 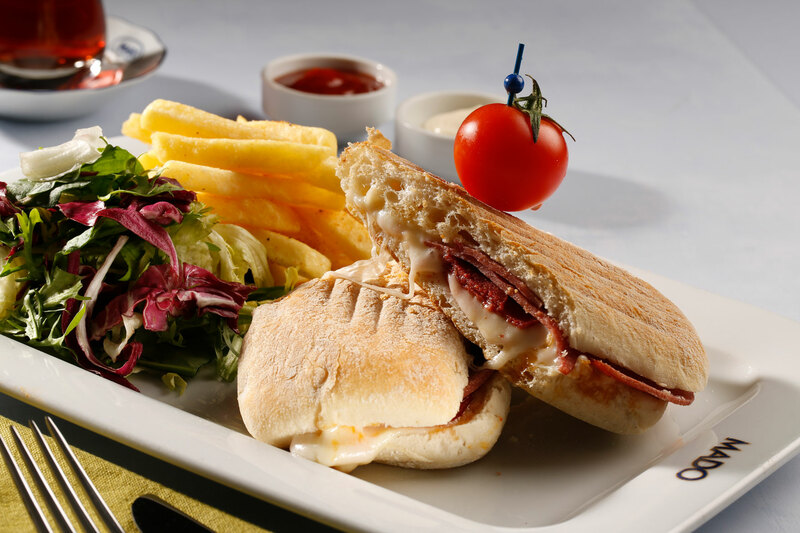 In addition to desserts, MADO recreates many almost-forgotten delicacies of the Turkish cuisine for you. Mado also meets the customers’ expectation for new savors and enhances its fete with delicious new flavors every year. You can try our new tastes; Ice-cream cakes, Ice-cream filled Profiteroles, special cold and fresh beverages at MADO Cafes. flavors that are served only at Mado Cafes.